Letter writing, as mentioned on the opening page to this site, is an ancient art which has become, to all intents and purposes, neglected. It requires patience, forethought and care, virtues which seem to have disappeared from much of society over the last few, technology influenced, decades. It is, however, as can be seen from the proliferation of penfriend web sites in the Internet, far from dead. Anyone can write a letter, regardless of their writing proficiency. It is simply a case of putting pen to paper and allowing thoughts and events to be expressed in words for another to read. That said, it is not as simple as many may suppose: constant distractions; lack of time; want of subjects to write about. Letter writing for the beginner is, however, simple and requires very few tools. The first three are obvious, but a notebook? We cannot always sit and write a letter wherever we are, unlike with a text or status update, letter writing requires slightly more preparation and a suitable environment, so carrying a notebook to record ideas and experiences is a useful aid. If you are constantly on the move, but know that there will be time to write a letter away from home, a suitable letter writing case is also highly recommended. A letter can be written is almost every environment, although writing at home, in a relaxed and familiar atmosphere, is by far the easiest. With a sturdy writing case, it is possible to write a letter on a bus, sitting by the side of a road or anywhere else where a table or suitable surface is not available. Far better, of course, is to find a place where you can sit in comfort and apply yourself to the joys of written communication, such as a café. If writing at home, find yourself a comfortable area with few distractions, but enough space to spread out all that you need. When writing elsewhere, try to find a sheltered spot with enough room to lay out your writing paper. One of the greatest pleasures of letter writing is that anything you can think of is a suitable subject: daily experiences, opinion, the news, your cat, family, work; impressions from a holiday, concert, exhibition, film; thoughts on music, politics, religion. The sharing of thoughts, opinions and experiences with others is what makes letter writing so worthwhile. At the same time, it is hardly necessary to attempt the Great Novel Of Our Time in your letter writing. Every worthwhile venture begins as a small experiment, as with a friendship: you begin by getting to know one another, seeing what works for you and your partner, and where your interests lie. 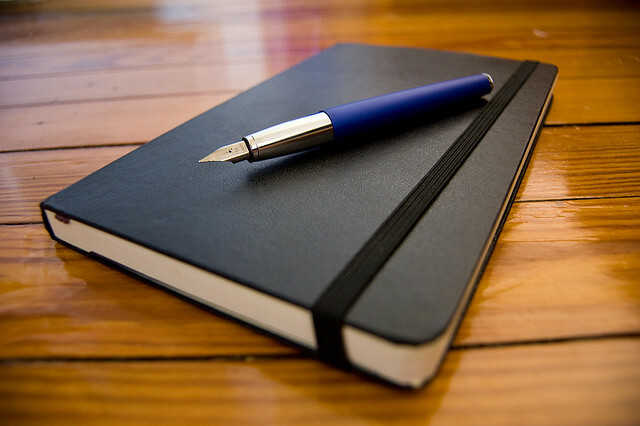 The advantage of carrying a notebook with you at all times, and recording your impressions in your own form of shorthand, should be clear: you will always have something to expand and expound upon when the time comes to put pen to paper and recount your exploits and experiences. WHO CAN I WRITE TO? For those who are away from home, on holiday, working or studying, the first choice would usually be family and friends. This is probably one of the best ways to hone skills as a letter writer; writing to people you already know allows a certain head-start over beginning a correspondence with a complete stranger. Their interests are already known to you and, without a shadow of doubt, they will be more than pleased to learn about your life away from home and all the experiences you are gathering, both good and bad. Likewise, if you are at home and your friends have moved elsewhere, you can give them news and tidbits about what is happening and keep them up to date with all the latest news and gossip. Finding a new penfriend, a stranger to write to, is hardly complicated, but still a matter of chance. The Internet, and some monthly printed magazines, is filled with people looking to get in touch with new potential friends. Penfriend sites abound, and it is possible to find someone from the furthest reaches of the world. The advantage of a penfriend site is that they have taken the first step and, hopefully, described themselves and their interests to such an extent that your interest has been awoken. Many Internet sites are also free of charge, which is always an advantage. It is also possible to insert your own advertisement on a web site of your choice, and invite other people to contact you. Writing a letter does not begin wit the first words on a sheet of paper, it begins with an idea which forms into a part of what you write. Letter writing begins with ensuring you have a place to write and all the utensils you need to complete the task. Whilst preparing yourself to write, laying out everything that you will need, the ideas of what to write can be forming in your mind, based upon your own experiences and interests or, possibly, upon what someone else has written to you. Getting yourself into the right mood to write a letter is also part of the necessary preparations, as much as seeing that you have a cup of coffee to hand and enough ink in your pen. Begin, once everything is laid out, by making a short plan, a simple list of subjects to write about. What has happened in your life recently? What has inspired you? What have you seen, heard, laughed or cried over? If you wish to write about current events, about politics or religion, what events, decisions, campaigns have struck you as interesting or, possibly, abhorrent? Remember to bring your correspondent into your letter, especially if they have written to you first, and try to find out more about them, their interests and experiences as well as sharing your own. A letter is a two-way experience; if you only write about yourself and nothing else, it will bore another person very quickly indeed. Once you begin writing, simply allow the ideas to flow from your mind onto the paper. Do not try to write as if you’re creating a novel or dissertation: be yourself. It is often the contents of a letter which impress and inspire the reader far more than long words and complicated sentence structures. Pose questions and answer those you have received; there is nothing more frustrating for a reader than waiting a week or two for an answer and not finding it. This is more of a personal matter. When writing to friends and family back home, you can write every single day if the urge takes you, and not give it a second thought. For penfriends it is wiser to wait until you receive a reply to your last letter, and then answer it within one or two days. Anything more could almost be considered stalking or desperation. That is not to say that you cannot begin a new letter and add to it over the time it takes for your last letter to be received and replied to. A good rule of thumb is to write whenever you receive a new letter from your partner. I HAVEN’T RECEIVED A REPLY, WHAT NOW? Unlike e-mail and text messages, written letters take longer to arrive at their destinations, and those receiving them also have their lives to live. Many years ago it was common for a letter to take several months to arrive, especially for those living and working in foreign lands and away from the main cities. Today a letter can be delivered to any destination in the world within about a week. Allowing for writing and delivery time, a reply would normally arrive within three weeks of your posting a letter. Sometimes, since your partner does also have a life to live, patience is needed. I tend to wait a full month before consigning a person to the ‘could have been‘ pile and moving on. After this length of time it is fair to assume that a reply will not be forthcoming, for whatever reason. It is a sad fact of life that some people do not reply to letters they have received, that they simply break off the correspondence, or friendship, without explanation, something which is not confined just to letter writing. The old adage is to simply move on and leave the past behind you, no matter how much work you may have put into your letters, into forming or maintaining a friendship. There are countless people hoping to find a new letter writing friend, and many with the same interests and hopes who will hold to the promise of a written friendship and keep in touch. LAST THOUGHTS ON LETTER WRITING? Enjoy. Simple as that. Enjoy.